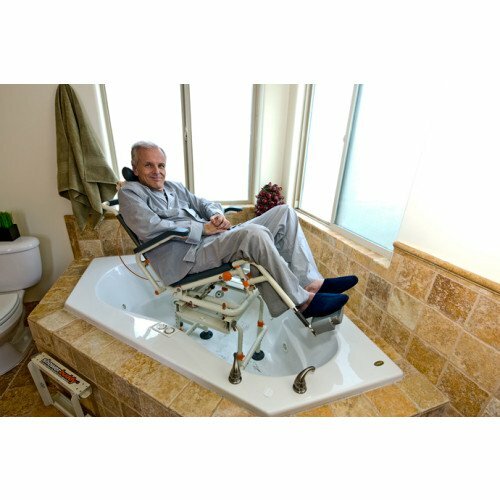 Height adjusts from 24.8" to 28.8"
The TubBuddy with Tilt is an ergonomic bathing transfer system which carries one special feature the original TubBuddy does not. 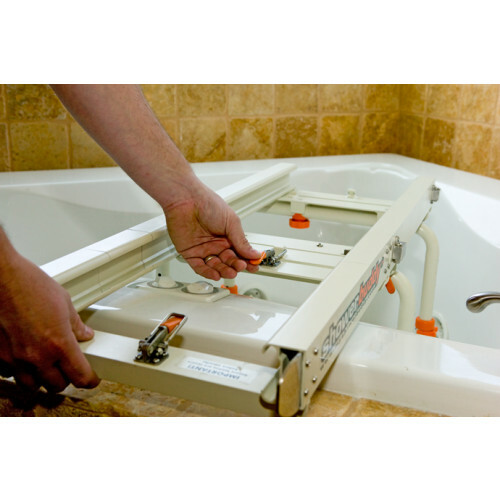 The unit allows for safe and easy transfer over and out of the bath tub incorporating a tilt option. 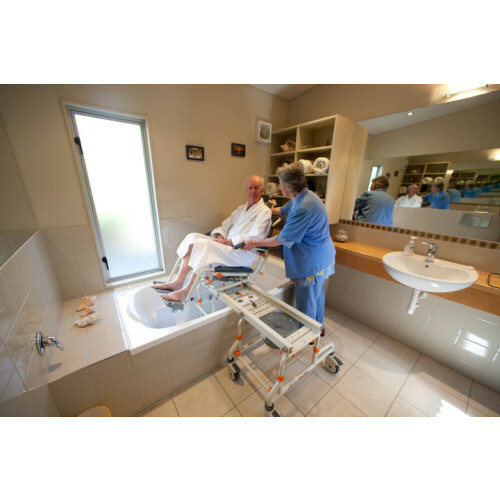 The tilt option allows the caregiver to relieve pressure for the patient while simultaneously making it easier to bathe the patient. 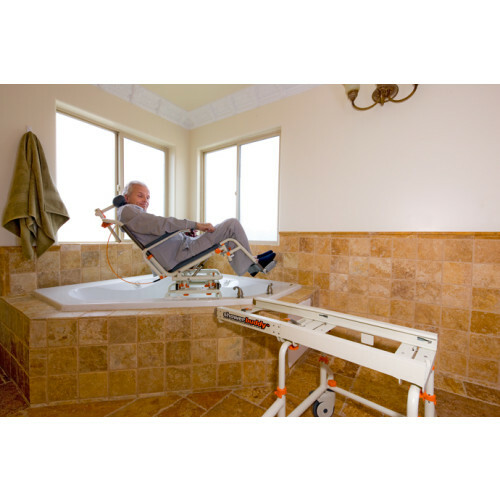 The tilt option alleviates caregiver strain by allowing the patient to slide over the bath tub without having to lift their legs. 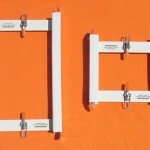 This transfer system is easy to use and requires no modifications to your bathroom. Simply roll the chair which is attached to the rolling base to the bridge and connect the rolling base to the bridge, then disconnect the chair from the rolling base and slide it over the bridge which should have already been connected to the interior tub base. The interior tub base will fit in 95% of tubs and is made to clear a 21" high tub, if a higher base is needed leg extensions are available. 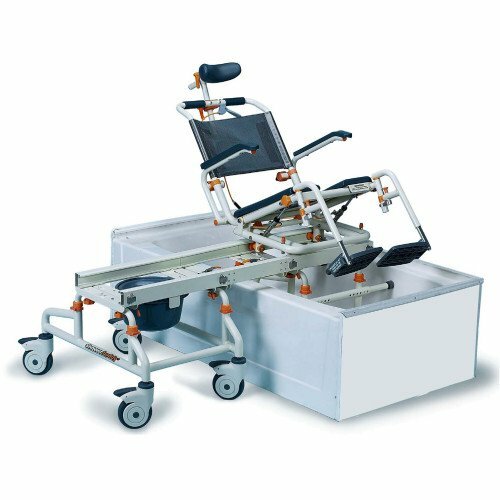 The tilting chair also fits over most standard and elongated toilets and with 5" locking casters the chair can roll over smooth surfaces as well as carpeting. 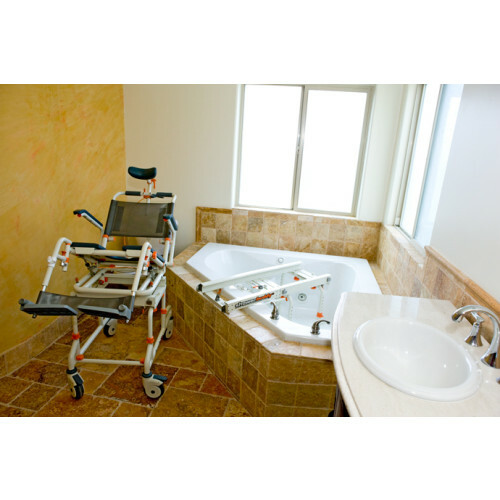 The TubBuddy has a corrosion resistant aluminum frame and mold resistant seating surface and is easy to keep clean. Some assembly required. 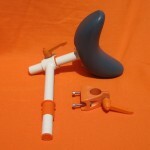 We usually ship in 1-2 business days; some products are able to “Express Ship” same day, if the order is placed by 1 PM EST. Average delivery time is 3-5 business days in the Continental USA. 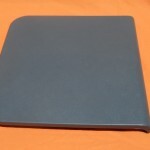 -The warranty is VOID if the original serial number tag is removed or altered. -The warranty is VOID if the unit sustains damage from unnatural causes. 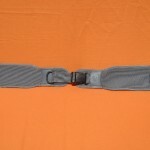 -The warranty is VOID if the unit is used to hold more than the weight limit of 300 pounds (140kg). -The warranty is VOID if the unit has been subjected to neglect, improper maintenance, storage, cleaning or operation as defined in the User’s Manual. -The warranty is VOID if the unit is modified without Showerbuddy’s written consent. -This warranty applies to the original purchaser only, from the date of the purchase, provided a registration card has been submitted to the company within 60 days of purchase.